1:- Having fruits along with meals:- We do get a good dose of carbohydrates in our regular meals and by adding extra carbohydrates, it will exceed the limit and lead to over intake of carbohydrates. 2:-Not having our meals on time:-We should always have our meals on time. Once you do that it helps us set up our body clock according to that specific meal time so that digestion and nutrient absorption happens at the same time every day and it won’t get distracted. 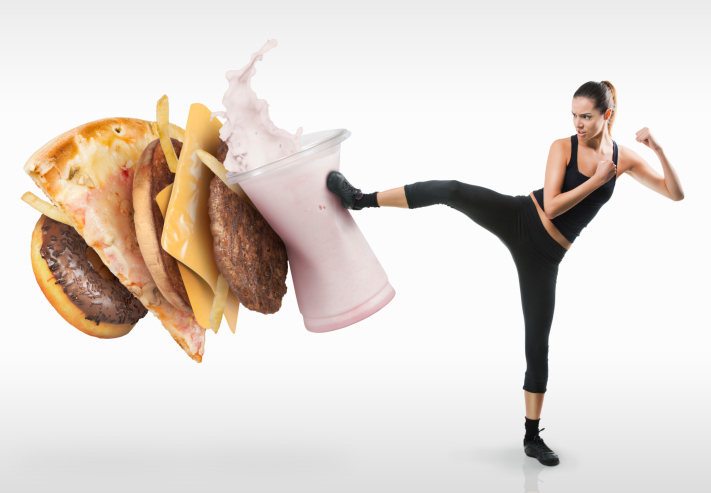 3:-Skipping breakfast or any other meals:-Skipping our meals and above all skipping breakfast is not a good idea. It may lead to muscle loss/fatigue/irritation as there might not be any energy and glucose for us to go on during a hectic day. 4:-Having a heavy dinner:-The calories and carbs which we have during dinner will not be utilized during the night time as we tend to sleep and unfortunately that is turned into fats and stored in our body. 5-Less water intake:-Less water intake may lead to dehydration and that can directly hit our immunity, which in turn can be the cause for many diseases. At least 2 to 3 liters of water in a day is must! 6:-Keeping a long gap between your meals:-We should never keep long gaps between our meals. Long gaps will lead to over eating our next meal and it will also slow down our BMR so that we eat more and that is the cause for weight gain. 7:-Chewing your food fast:-We should always take at least 20 minutes to complete a meal, as chewing fast will not help in absorption and breakdown the nutrients of the food that we consume. 8:-Having processed foods:- Having processed foods which contain sugar, white flour, corn flour, may risk us with water retention in our body and will also increase our salt intake because of the preservatives. 9:-Confusing thirst with hunger:-Sometimes when we feel thirsty we may confuse it with hunger and start eating an untimely meal, so it’s best to first feel, recognize and keep yourself hydrated so that we don’t feel hungry because of less water intake. 10:-Overeating:- Overeating can easily go unnoticed and this can cause problems like weight gain and obesity. This is often regarded as an eating disorder. If you are a binge eater, it’s time to make some changes. Controlling our portion is the best way to eat mindfully. So sit back and think for a minute, are we performing any of these habits in our day to day life? If yes! Then don’t do it and bring on the positivity in your life!